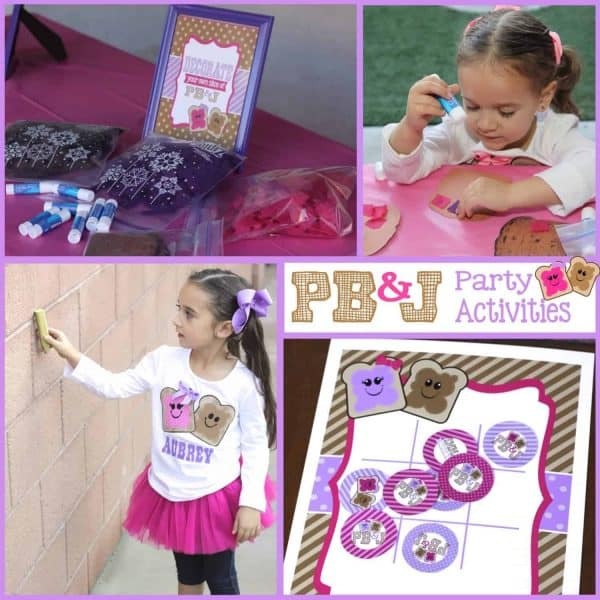 PB&J Party: Activities and Games for Sticky Little Fingers. 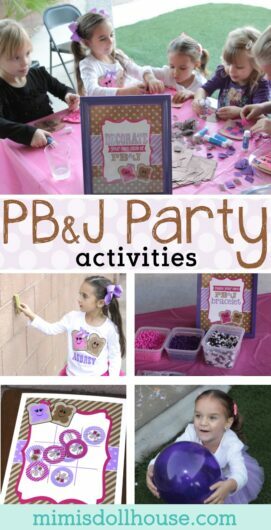 Today I’m sharing the PB&J Party Activities and Games from my little Emma’s PB&J Party. 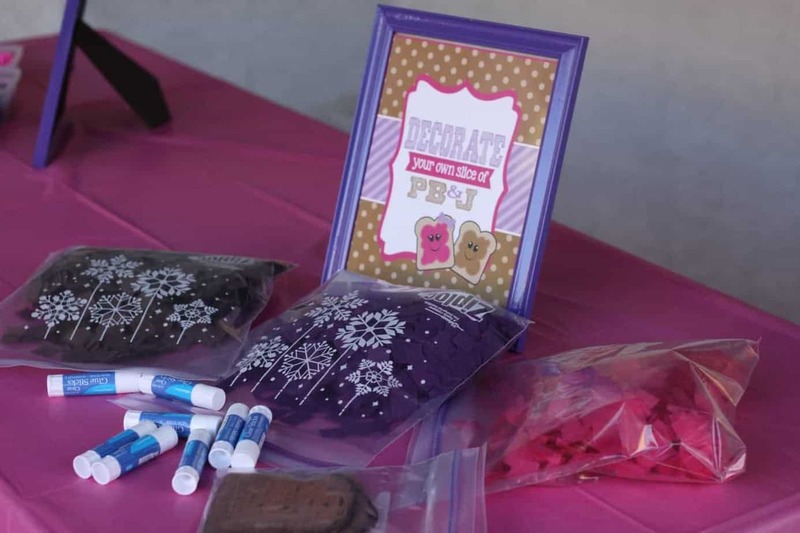 Be sure to check out The PB&J Party Details and all our PB&J Party ideas and inspiration. 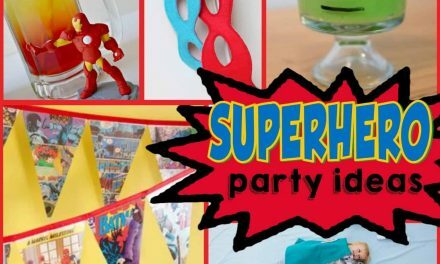 One of the best parts of planning this party was getting creative with the games and activities. Some themes have games that just totally make sense and sometimes you have to really get creative. This was definitely the latter. 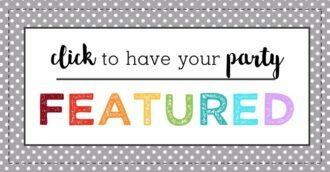 It was a trickier theme to come up with games for…but I think we managed to still come up with some goodies. Today I’m sharing them with ya’ll. Want some fun Tic Tac Toe? 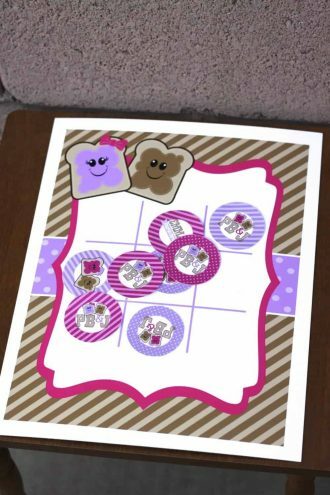 I printed the PB&J game board on poster board and used the 2″ circles from the party collection as the pieces. The kiddos loved the game board! 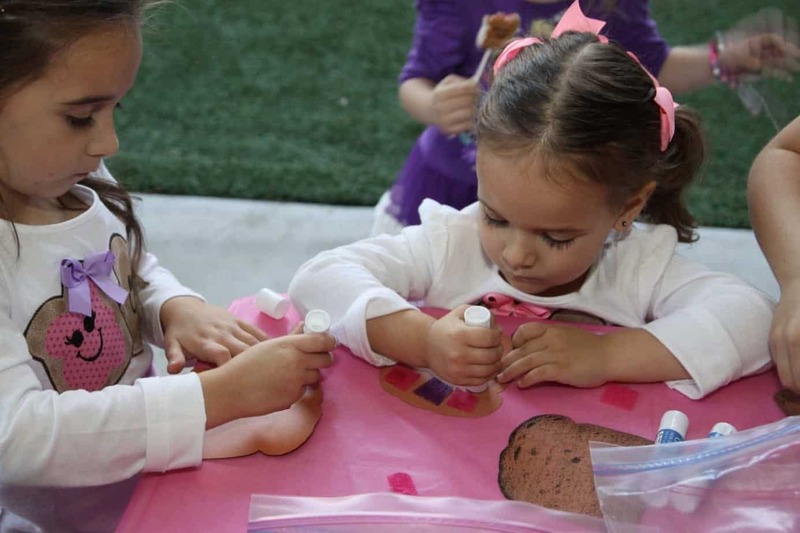 One of my favorite go to activities for kid’s parties is the coloring wall. It is so easy and the kids LOVE it. 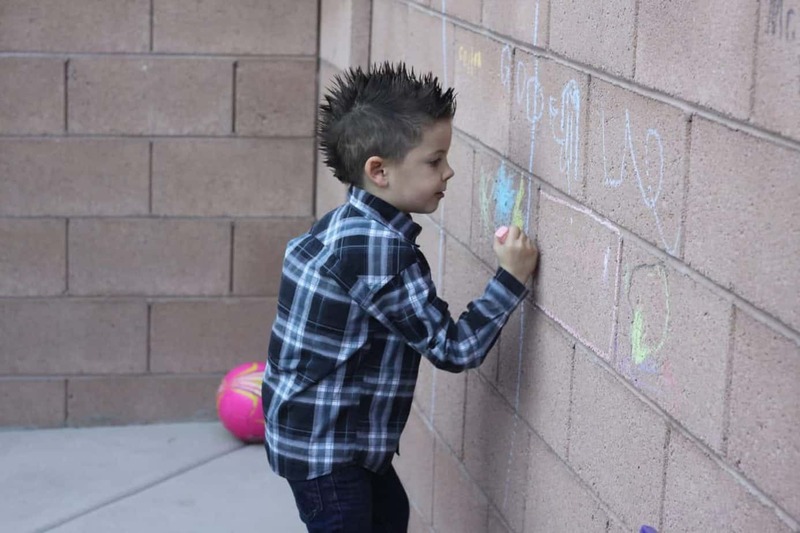 A fun box of Sidewalk Chalk and a block wall and it’s their own little art gallery. Plenty of fun for all. 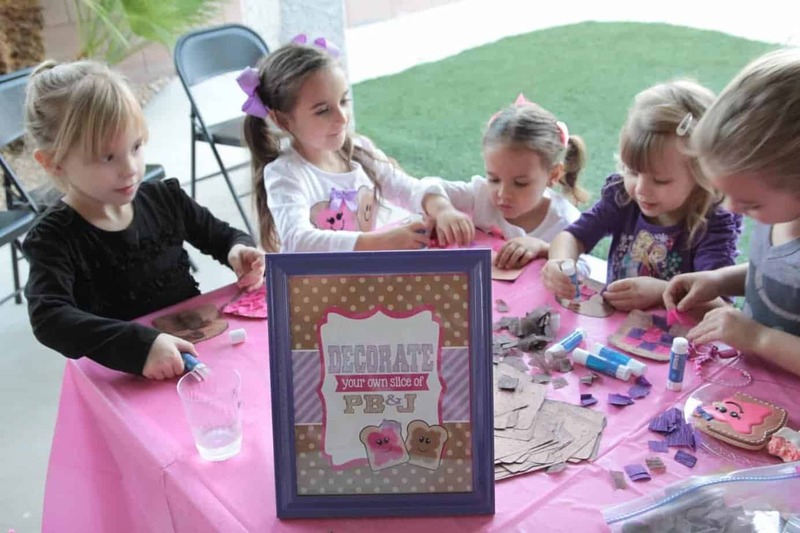 One of the fun PB&J themed activities we created was a station set up to decorate your own slice of PB&J. 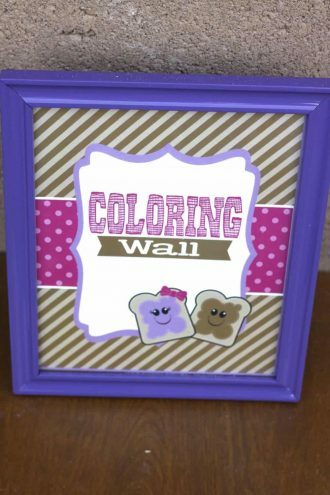 We cut out slices of “bread” from construction paper and little pieces of peanut butter and jelly (brown, pink, and purple streamers cut into small squares). 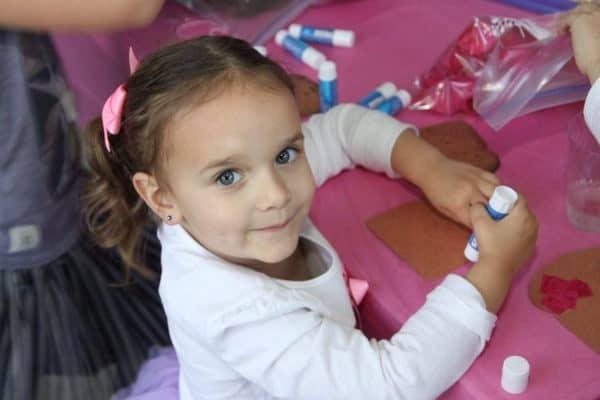 The kids had a blast gluing the peanut butter and jelly squares to their bread slices! 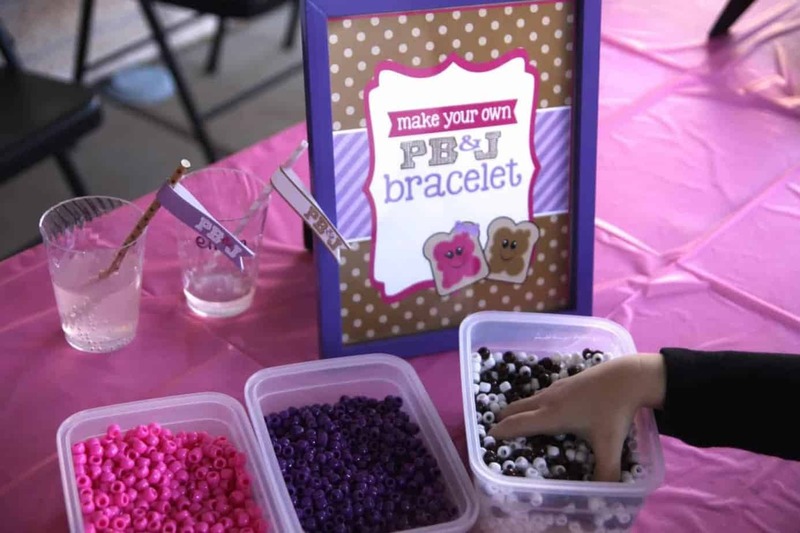 Another awesome PB&J themed activity for the kids was making their own PB&J bracelet. I got pink, purple, brown an white beads and pieces of elastic string (and also baker’s twine which they actually seemed to prefer) They strung their bracelets with beads and made cute little bracelets to wear. 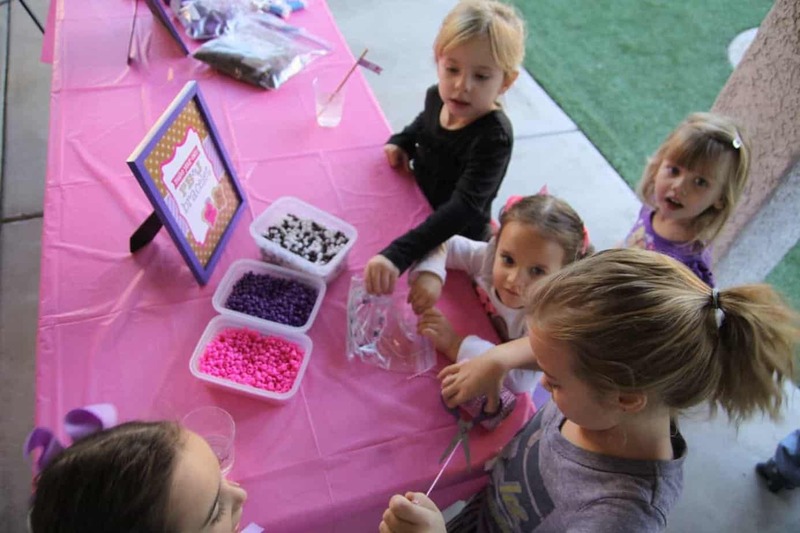 This was especially a hit with the girls. We also had a balloon toss contest. 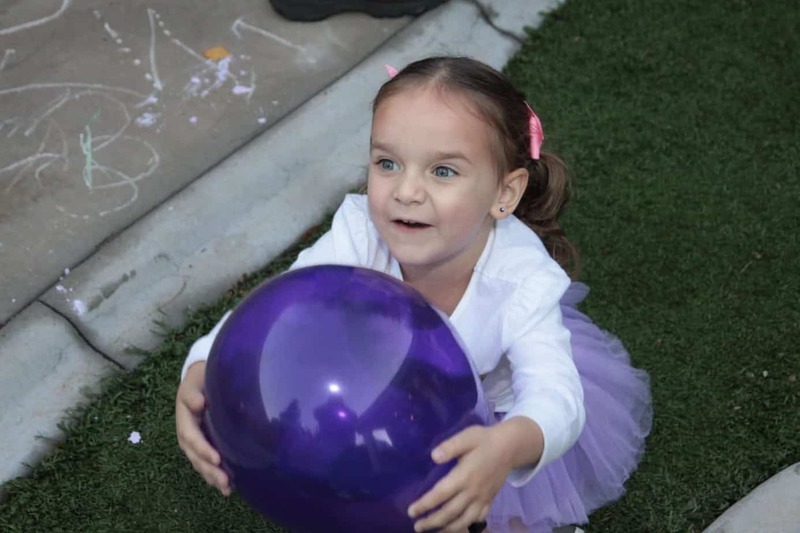 The kids were each given a pink, purple or brown balloon to toss up in the air and try to keep off the ground. 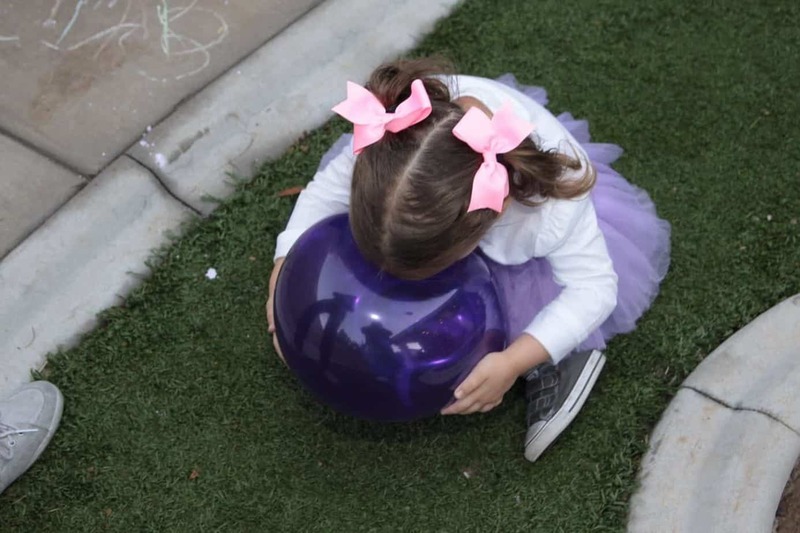 Once the kids played balloon toss a few times, we had them sit on their balloons and pop them. They thought this was great and it helped with cleanup and kept them from fighting over balloons for the rest of the party. Last but not least…we had a peanut butter and jelly sticky toss contest. Each family was given a loaf of bread, some peanut butter and jelly. 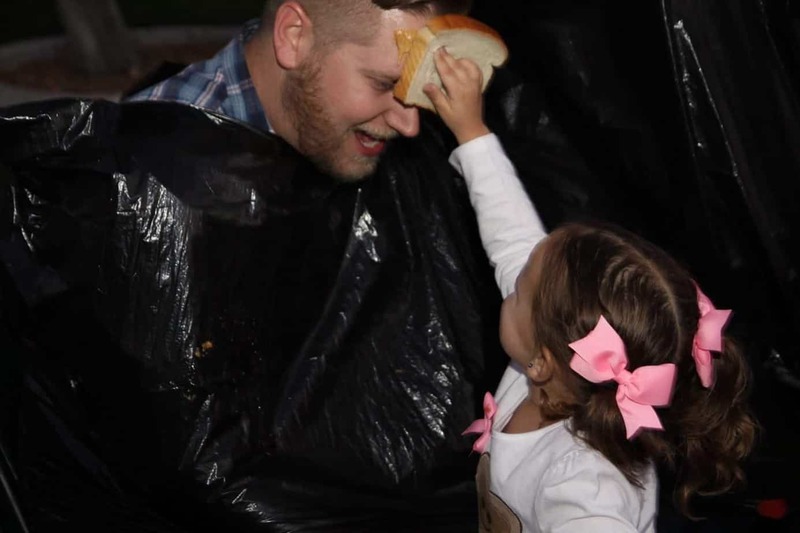 They then competed to see who could get a slice of PB and a slice of J stuck to their dad’s face first. 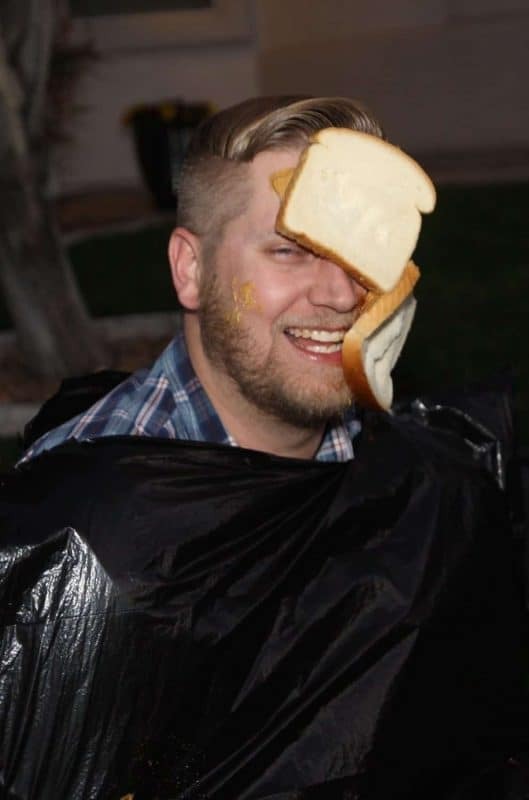 Here is my husband with his sticky, sticky face. He did not win, by the way, and the guys were super competitive about it. It’s always fun to get the grown-ups involved in the games. We had a blast with out pb&j games! Hope you enjoy! 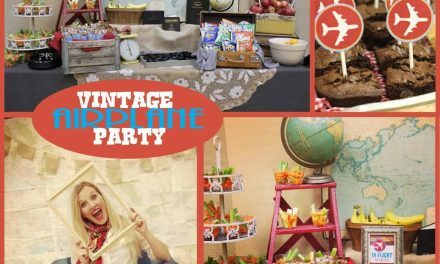 Want to throw a PB&J Party? PreviousPB&J Party: My little peanut Emma turns four!! 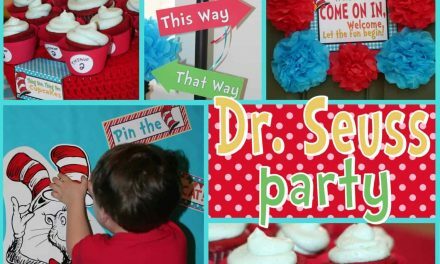 Dr. Seuss Party: Thing 1 and Thing 2, what a big to-do! Sounds like fun was had by all! You are very creative! 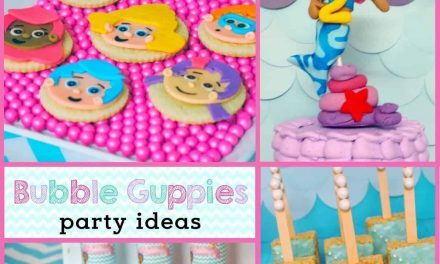 This is the cutest party ever. I wish my girls were still small I would be on this. Your creativity is amazing!